MEMOFIN - Principles for financial market infrastructures - L'information financière que vous ne trouvez nulle part ailleurs ! a consultation paper on a disclosure framework for the standards. 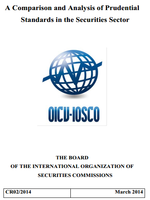 New and more demanding international standards for payment, clearing and settlement systems, including central counterparties, have today been issued by the CPSS and IOSCO in a report titled Principles for financial market infrastructures. Among other things, the standards will provide important support for the G20 strategy to make the financial system more resilient by making central clearing of standardised OTC derivatives mandatory. CPSS and IOSCO members will strive to adopt the new standards by the end of 2012. Financial market infrastructures (FMIs) are expected to observe the standards as soon as possible. The new standards (called "principles") replace the three existing sets of international standards set out in the Core principles for systemically important payment systems (CPSS, 2001); the Recommendations for securities settlement systems (CPSS-IOSCO, 2001); and the Recommendations for central counterparties (CPSS-IOSCO, 2004). CPSS and IOSCO have strengthened and harmonised these three sets of standards by raising minimum requirements, providing more detailed guidance and broadening the scope of the standards to cover new risk-management areas and new types of FMIs. The new principles are designed to ensure that the infrastructure supporting global financial markets is robust and thus well placed to withstand financial shocks. They apply to all systemically important payment systems, central securities depositories, securities settlement systems, central counterparties and trade repositories (collectively "financial market infrastructures"). These FMIs collectively clear, settle and record transactions in financial markets. "FMIs performed well during the financial crisis and we gained a deeper understanding of their true importance. Robust FMIs help markets to continue functioning even in conditions of great uncertainty, making them a fundamental element of financial stability," said Masamichi Kono, Vice Commissioner for International Affairs, Financial Services Agency, Japan and Chairman of IOSCO's Technical Committee. William C Dudley, President, Federal Reserve Bank of New York and a co-chair of the CPSS-IOSCO work on the standards, noted that "Under the new regime of central clearing for standardised OTC derivatives trades, the role of FMIs will become even more important in the future. The principles provide an important safeguard that FMIs will be robust enough to take on this role". Paul Tucker, Deputy Governor, Financial Stability, Bank of England and CPSS Chairman, added that "With these new principles, authorities have a good basis on which to ensure a safe and stable financial infrastructure. It is essential that authorities adopt the principles, and FMIs observe them, as soon as possible". The steering group that carried out the work on behalf of the CPSS and IOSCO was chaired by William C Dudley (see above), Masamichi Kono (see above; since August 2011) and Kathleen Casey (former Commissioner of the Securities and Exchange Commission (SEC), US; until July 2011). The editorial team that drafted the reports was chaired by Daniela Russo (Director General, European Central Bank) and Jeffrey Mooney (Assistant Director, SEC, US). The principles were issued for public consultation in March 2011. The finalised principles being issued now have been revised in light of the comments received during that consultation.